Sprint will be the first U.S. carrier out of the gate to offer the Samsung Galaxy S II this year as the company officially recognizes the phone this evening. The announcement is coming out of the Samsung event taking place in New York tonight but Sprint’s newsroom has the details for everyone to see. 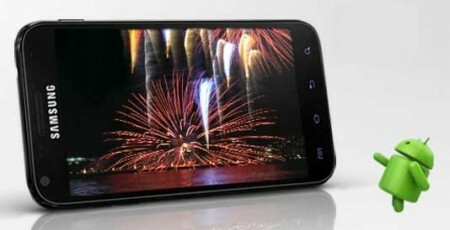 Look for the Epic 4G Touch to land in but a few short weeks with a very attractive $199 price tag. Hit the break to read the full, super-lengthy press release if that’s your style. We’ll just sum it up here and tell you that the specs that leaked just a few hours ago are correct. OVERLAND PARK, Kan. & DALLAS (BUSINESS WIRE), August 30, 2011 – Sprint (NYSE: S), the first national wireless carrier to launch the groundbreaking data speeds of 4G, and Samsung Telecommunications America (Samsung Mobile), the No. 1 mobile phone provider in the United States1, today announced the upcoming availability of the first Samsung Galaxy S™ II product to be available in the United States, Samsung Galaxy S™ II, Epic™ 4G Touch. As Sprint’s 27th 4G-capable device, Epic 4G Touch boasts a 4.52-inch Super AMOLED™ Plus touchscreen and one of the industry’s fastest dual-core processors, the new Samsung Exynos™, bringing it rich content at blazingly fast speeds. Customers will benefit from a large screen which will offer a vibrant viewing experience delivering the best picture quality at the fastest speeds available. Epic 4G Touch will cost just $199.99 (excluding taxes) with a new two-year service agreement or eligible upgrade. It will be available beginning Sept. 16 in all Sprint Sales channels, including Sprint stores, Web sales (www.sprint.com) and Telesales (1-800-Sprint1). Visit www.sprint.com/epictouch for more information. Beginning today, customers can pre-order Epic 4G Touch at any participating Sprint store with the purchase of a $50 Sprint gift card. Customers who pre-order Epic 4G Touch will have their name added to the Device Wait List and be contacted to set up an appointment to complete their smartphone purchase beginning Sept. 16. Through the pre-order process, customers will know they are able to get the device they want and receive the full retail experience, including Sprint’s Ready Now service. Epic 4G Touch is one of the thinnest smartphones, measuring just 0.38 inches thick. Its Super AMOLED Plus touchscreen display delivers brilliant colors with the most contrast, providing a vivid and crisp viewing experience. It is built on Android™ 2.3, Gingerbread, and powered by one of the fastest dual-core processors available along with the blazing-fast Sprint 4G speeds on America’s Favorite 4G Network2. Epic 4G Touch requires activation on one of the Sprint Everything Data plans plus a required $10 Premium Data add-on charge for smartphones. Sprint’s Everything Data plan with Any Mobile, AnytimeSM includes unlimited Web, texting and calling to and from any mobile in America while on the Sprint Network, starting at just $69.99 per month plus required $10 Premium Data add-on charge – a savings of $40 per month vs. Verizon’s comparable plan with unlimited talk, text and 2GB Web, or $10 per month vs. Verizon’s 450-minute plan with unlimited text and 2GB web. The Mobile Hotspot option is available for an additional $29.99 per month supporting up to eight Wi-Fi enabled devices simultaneously (pricing excludes taxes and surcharges). Sprint’s annual developer conference, now called the Sprint Open Solutions Conference, will be held Nov. 2-4 in Santa Clara, Calif. Throughout the three-day conference, developers, enterprises and entrepreneurs will learn about Sprint’s open enablement strategy, creating applications for 4G and 3D, enterprise machine-to-machine (M2M) solutions, go-to-market strategies, approaches to make developers more profitable, and current Sprint tools and capabilities across devices, networks and platforms. For additional information and to register for the conference, visit http://developer.sprint.com/devcon2011. Samsung Electronics Co., Ltd. is a global leader in semiconductor, telecommunication, digital media and digital convergence technologies with 2010 consolidated sales of (US)$135.8 billion. Employing approximately 190,500 people in 206 offices across 68 countries, the company consists of eight independently operated business units: Visual Display, Mobile Communications, Telecommunication Systems, Digital Appliances, IT Solutions, Digital Imaging, Semiconductor and LCD. Recognized as one of the fastest growing global brands, Samsung Electronics is a leading producer of digital TVs, semiconductor chips, mobile phones and TFT-LCDs. For more information, please visit www.samsung.com.